When restoring an old house the bathroom is a difficult room to recreate to the earliest period of the house. Since many century-plus old houses did not have bathrooms in their original house plans, it is the most difficult room to restore. For this project, the best solution is to design a functional room with an ambiance related to the rest of the house. Design your new Victorian bathroom in 3D by using bathroom design software to create a virtual design of your floor plan. Today you can recreate a Victorian bathroom theme or vintage themed bathroom with high quality reproduction pedestal sinks, tubs on legs and antique style vanities. Compare photos of Victorian bathroom lighting with modern recreations of period sconces to choose the best lighting style to highlight your new themed bathroom idea. The vintage bath design of the early 1900s has never been more popular among bathroom themes -- find Victorian bathrooms ideas to create a magnificent bath that takes you back to another time. 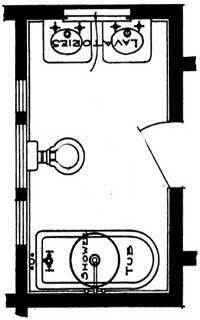 This Victorian bathroom floor plan represents,for the period, the blending of the practical with the ornate. Compare bathroom fixtures of the 1900s with today’s reproductions to recreate a vintage bathroom design. 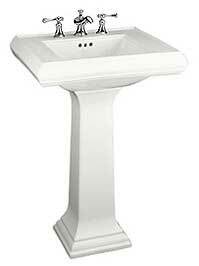 Find, compare and choose your bathroom fixtures. Explore a luxury bath for the rich & famous, an opulent bathroom for the Vanderbilt's on the east side of Central Park. 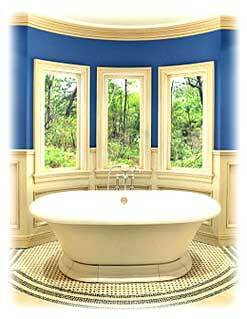 Creating a Victorian design bathroom can begin with Victorian porcelain style tubs. If you don't have the money to replace the bathroom fixtures, such as the sink, vanity, and tub, you can do quick changes to get your point across. Your shower curtains are one of the most important pieces for the room. These curtains take up a large part of the focal point of a bathroom, and there are many curtains that can fit perfectly for a shabby chic, vintage or cottage bathroom design. Ruffled curtains in light colors, with flowers or other shabby chic décor pieces are great. A great option is to feature one of the fabulous vintage design shower curtains offered at Café Press. These unique shower curtains shown above surpass any stock shower curtains offered in stores. Click each image for more details. Think outside the box when designing themed bathrooms. Exploring small bathroom floor plans for your placement options is the first step in how to remodel a bathroom. For some great bathroom theme ideas for your remodeling project, view a bathroom interior from 1883 with painted tiles and mahogany paneled walls. Vintage bath and tub style fixtures add a luxurious atmosphere to any bathroom. Freestanding tubs and clawfoot tubs come in several sleek designs today. Can you fit another bathroom into your house? Most contractors say probably yes. Remodeling small bathrooms is largely a matter space and cost. Bath fixtures fit into less space than most people think. Into 25 square feet, you can squeeze a complete – if cramped – shower bathroom which would keep the cost of adding an extra bathroom low. An important step in Victorian bathrooms design is the bathroom paint color. Choose the correct color for bathroom to enhance your bathroom fixtures and bathroom accessories for all themed bathrooms. The paint color for most bathrooms is a personal preference, but also a necessary finishing touch for your bath design. Selecting paint colors and managing home painting projects has never been easier thanks to the many new paint apps available today. Homeowners can virtually “paint” a room to instantly see how different painting color schemes work together in a space. Love the vintage bathroom theme? Need some Victorian bathroom ideas? Consider a clawfoot tub for today’s vintage bath. 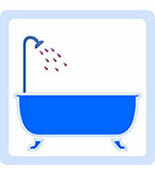 Learn how to brighten up your Victorian bathroom by painting your old clawfoot bathtub a new color. Learn how to paint your old clawfoot tub. Is your clawfoot tub starting to look its age? 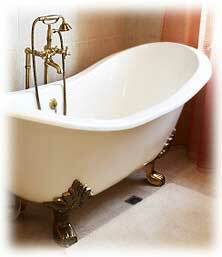 Clawfoot tub repair is possible to preserve your own piece of an original Victorian bathroom. Today copper bathtubs are a fairly unusual choice when it comes to bathroom design but they can make a stunning focal point. Before indoor plumbing, antique tubs were viewed as furniture and were movable, that is, could be pulled out of storage when needed. Often the design was a glorified wooden barrel. Painted or marbleized tin tubs were reserved for the wealthier bathers and would be found in a dressing room or bedroom. A luxury Victorian bathroom features lush bath robes, slippers, soaps, towels and more. A Victorian bathroom	theme	would	be	complete with any of these luxury bathroom items. Remodeling an old house bathroom first begins with a floor plan. Many major bath fixtures manufacturers now provide online bath design and planning tools for your Victorian bathroom theme project. Bathroom remodeling ideas, design, decor, inspiration pictures – everything needed for the Victorian bathroom. 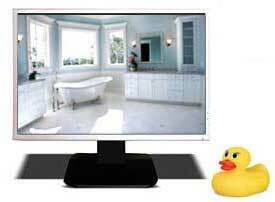 Design your new Victorian bathroom in a three-dimensional environment and use bathroom design software to create a virtual design from your own floor plan.